Our volunteers are absolutely amazing. They give up so much time to date, stack and sort through the donations of food and toiletries. They drive the vans the length and breadth of the Black Country delivering to our centres and collecting from donors. We can never say thank you enough. 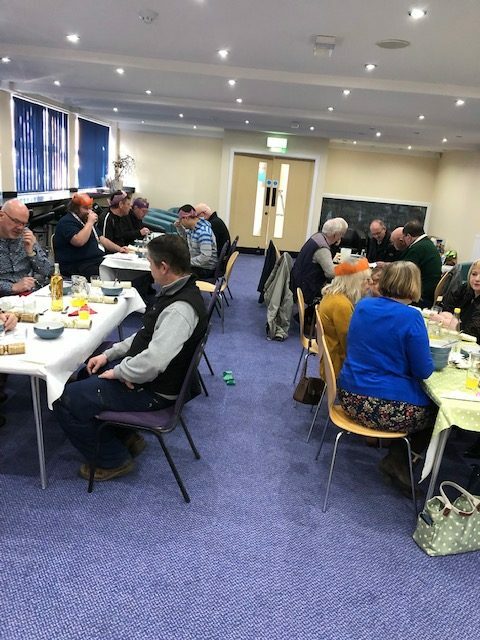 Every January we hold a ‘Christmas Meal’ for our volunteers to say thank you for all their hard work. We always have a great time as we enjoy food together and a quiz. 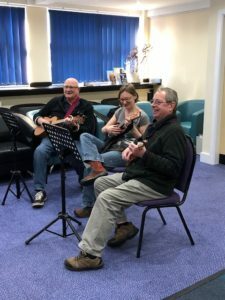 This year we had the pleasure of listening to live music from three of our volunteers. Thank you Emma, Keith and John, you were great!